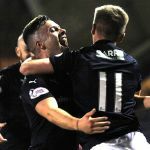 It may have been something of a slog for the first 40-minutes or so, but Raith Rovers moved to within three points of Ayr United at the top of League One, with a vital 2-0 win over East Fife. 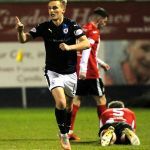 The victory made it a clean sweep over the Methil side this term, with goals from Bobby Barr and Iain Davidson leaving East Fife winless in this fixture since 1988. 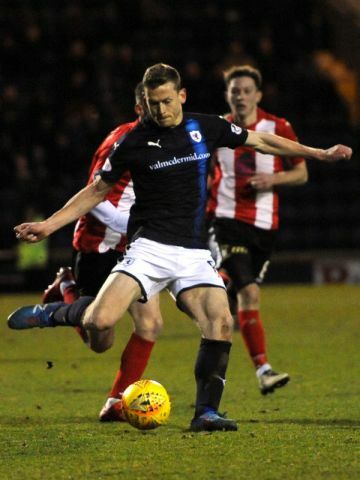 Barry Smith went with the same side which took all three points at The Excelsior Stadium last time out, which was something of a surprise, after earlier suggestions that Scott Robertson was potentially struggling after completing just over 80 minutes on his comeback against Airdrie. 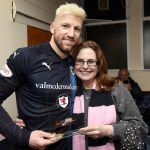 Considering his importance to the side though, it was a relief to see him partnering Regan Hendry in the middle of the park. 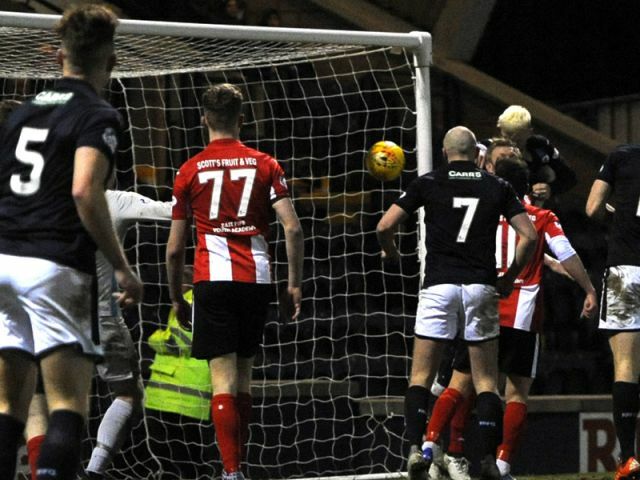 East Fife had the better of the very early exchanges, but it was Rovers who had the first sight at goal after five minutes, after a well worked move. 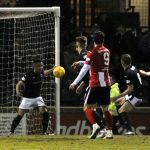 Lewis Vaughan broke away after an East Fife corner came to nought, and his layoff wide to Barr, allowed the winger to cut inside and tee-up Willis Furtado who gathered inside the area, and with time to turn, he elected to touch it off to Hendry, whose first-time effort flew just wide of Ben MacKenzie’s left-hand post. Any hope that that passage of play was going to set a pattern would quickly dissipate though. It was one of the few pieces of attractive play on offer in the opening quarter of an hour or so, with both teams intent on getting the ball forward as quickly as possible, as the game struggled to settle down into any kind of rhythm. 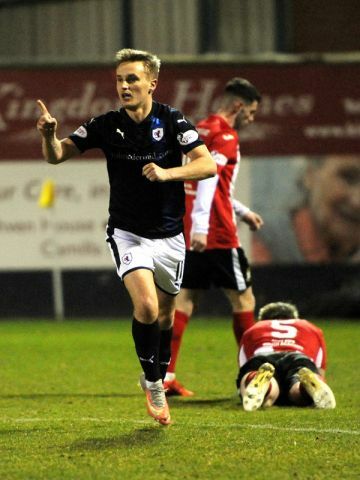 Livingston’s Matthew Knox, who’s on-loan with the Methil side almost lifted proceedings in the 16th minute, cutting in from Raith’s left and looking up, but his shot at goal didn’t quite match his build up play, and it stuttered wide of Lennox’s left stick. 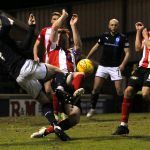 If anything, it was the away side who looked more at home, with the Rovers rear-guard looking somewhat dishevelled, especially at corners, with two deliveries causing consternation before eventually being cleared. 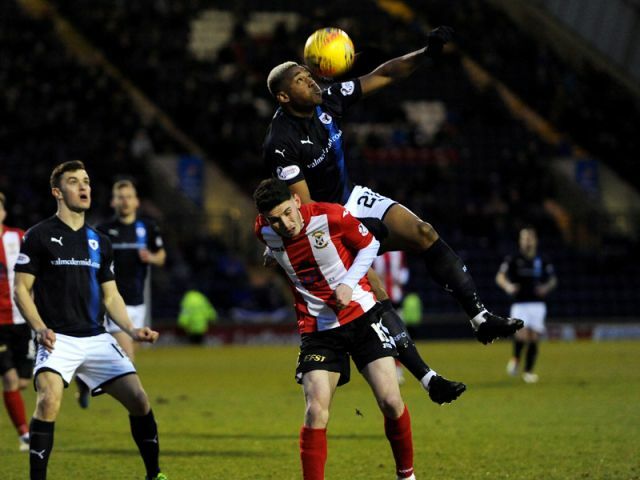 Rovers were forced into an early change in the 20th minute, when Furtado limped off to be replaced by Greig Spence. 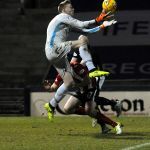 Raith weren’t making things easy for themselves, and in particular their continued deployment of poor pass-backs to Aaron Lennox, which were consistently over or under hit, leading to some rather uncomfortable moments for the ‘keeper, and the home support. The game had now turned into a spectacle which could be best described as attritional, and the lack of quality on show appeared to filter into the stands, when a supporter attempted to return the ball, only for him to lash it against a pillar, resulting in it ricocheting even further back the Main Stand than when it started. Thankfully though, proceedings took a turn for the better in the 39th minute, when Rovers took the lead, after the half’s best piece of play. Vaughan did well initially, picking out Barr on the edge of the area, and from 18-yards, he cracked a fine drive past Mackenzie and into the bottom corner. 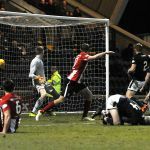 It was a strike which the home side badly needed, albeit possibly didn’t quite warrant, although the hope at that stage was that it was a launchpad for a more settled performance. 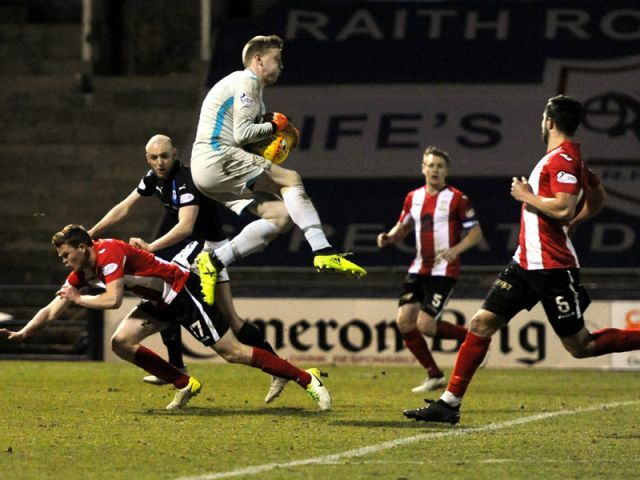 However, East Fife should have went in at the interval level. 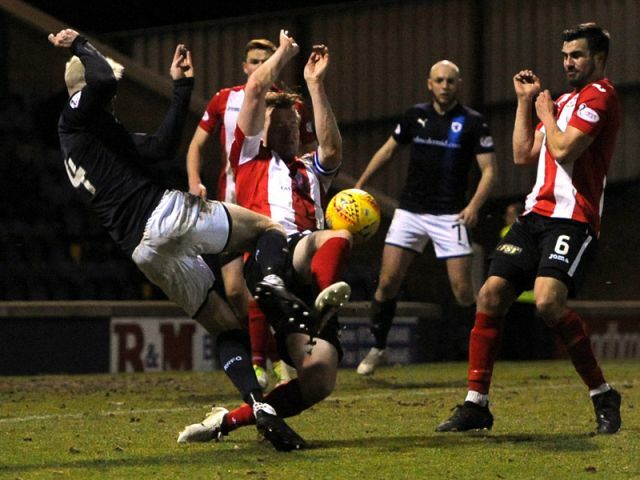 Once again, a corner was the issue, with no-one willing to attack Craig Thomson’s cross, but although Connor McManus had come round at the back post, he was unable to steer his header in at the back-post. Rovers started the second period in considerably brighter fashion than they did the first, and were almost two to the good in its opening moments, after some dithering at the back from Scott Allardice. 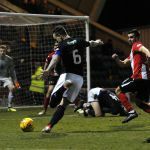 He was caught in possession by Vaughan, but his cross was flashed across goal at too brisk a pace for Hendry, who couldn’t quite toe-end it into the net. 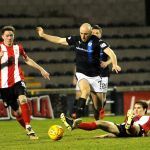 Again though, it wasn’t much of a precursor of how the half was to unfold, as the match continued in a reasonably similar vein to the first, albeit with Rovers holding the whip hand, with the visitors being comfortably held at arm’s length. 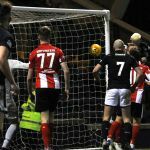 Rovers were struggling to stretch East Fife in the wide areas, and with the Bayview outfit defending reasonably well in the central areas, attacks were generally withering on the vine. 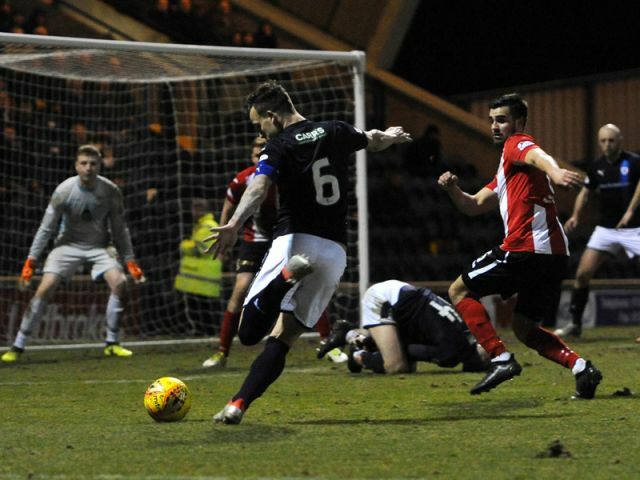 Vaughan took matters into his own hands in the 74th minute though, and almost made it two after a jinking run and finely placed shot into the corner, only for MacKenzie to parry it away. 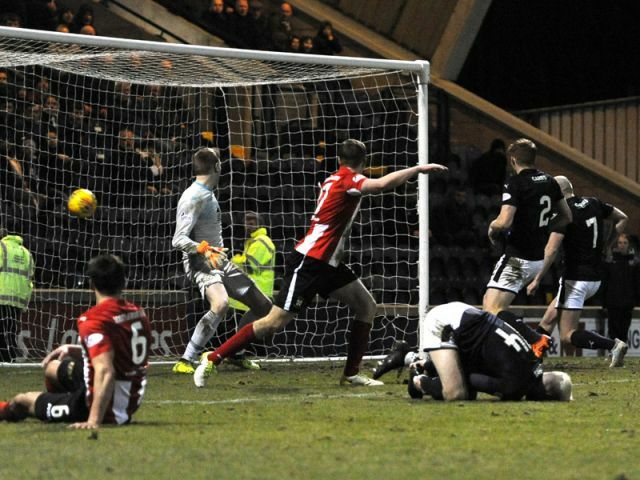 Spence then had the ball in the net a moment later, only to be denied his 14th goal of the season by the assistant’s flag. 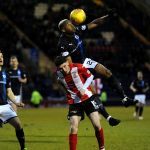 Rovers had stepped it up a notch now, and Spence was almost on the end of a Vaughan set-piece into the box, but it was just over his head and into MacKenzie’s arms. 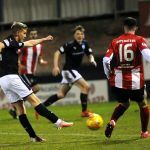 The points were deservedly made safe in the 87th minute though, after a corner from Vaughan was nodded goal ward by Euan Murray, with Davidson rising at the back post to power home. 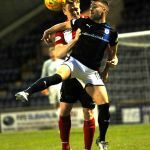 It had taken until the final third of the match for Rovers to exert their dominance, but it was job done as they look to take advantage of any Ayr slip-ups before the end of the campaign. 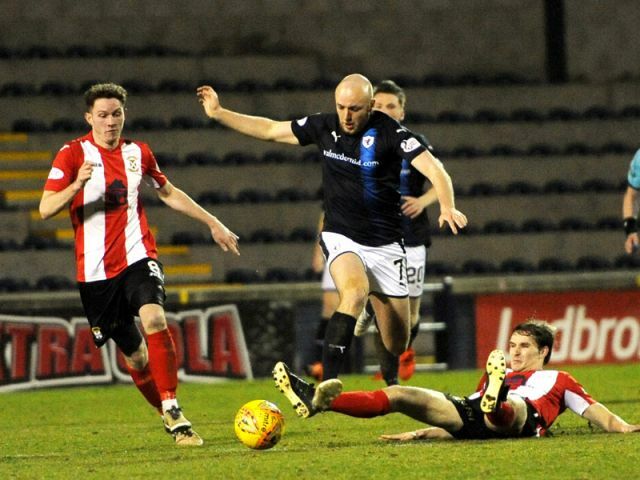 A flowing Rovers moves ends with Vaughan nodding Barr’s deep cross over the bar. Best football of the game so far. From the corner there’s a strong claim for a penalty, Davidson gets a knock, Spence nets and the flag goes up. Phew! Watson trips Vaughan and then bawls in his face as he lies prone. 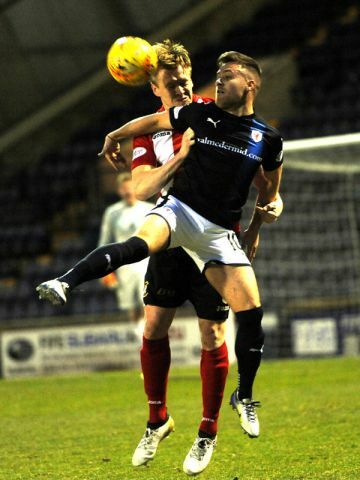 Could’ve been booked for either offence. 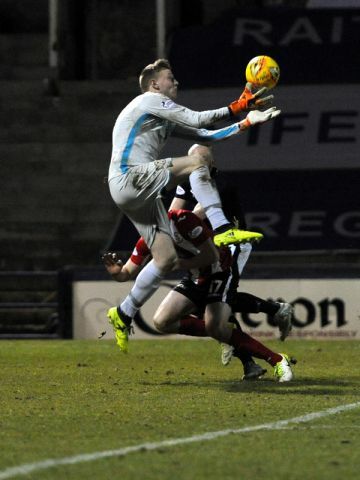 Iain Davidson named man of the match - thoroughly deserved. Crowd is 1485. 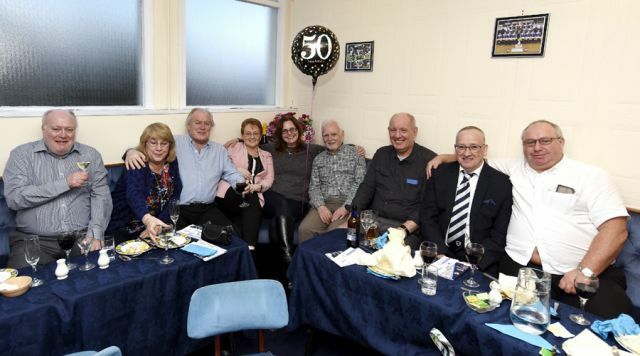 Neeburs O' Geordie Munro enjoying their night in the match sponsors lounge. Happy Birthday Heather! 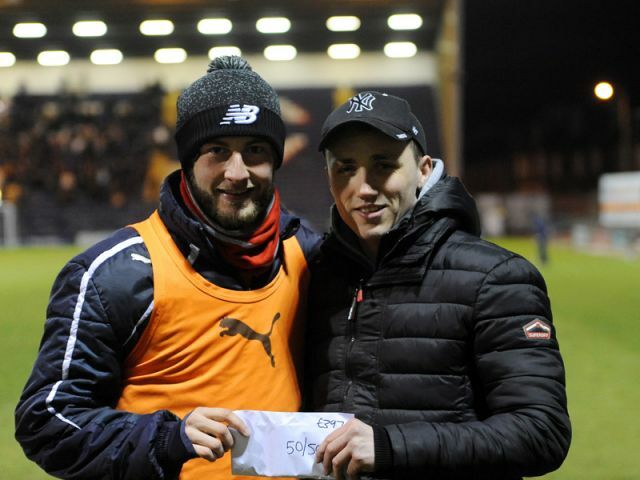 John Herron presenting our 50/50 winner with £397. 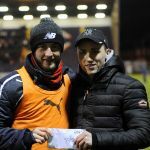 Alan Young receiving an extremely generous donation of £10,000 from the 200 club. 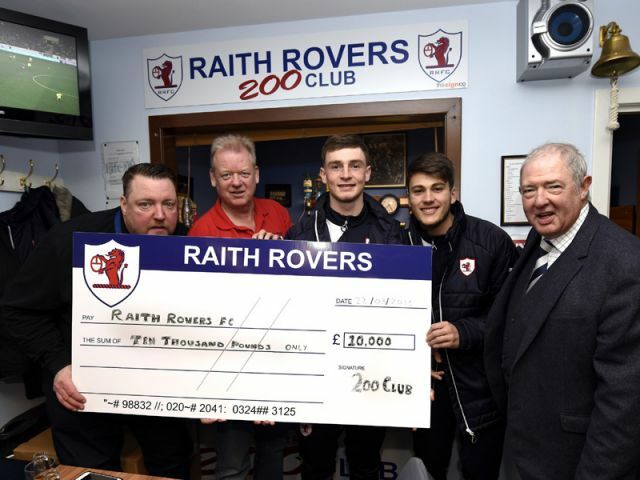 The continued financial support from our supporters groups is hugely appreciated by all at the club. 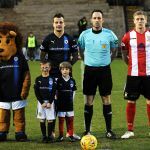 Jay Adamson Anthony and Declan O'Duibhinn enjoying their night as mascots. 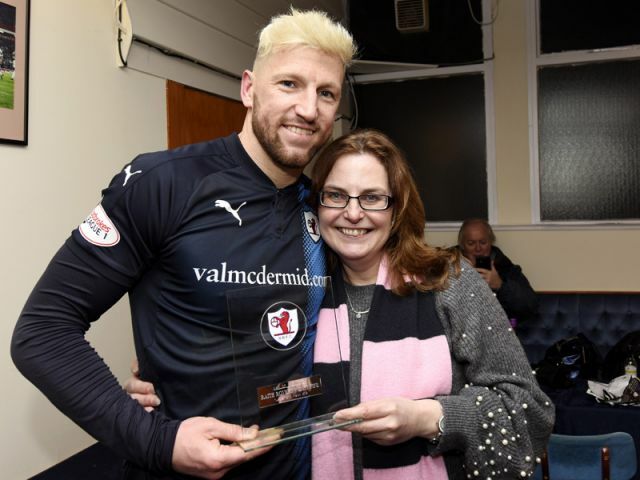 Heather Wheatley presenting Iain Davidson with his Man of the Match award. 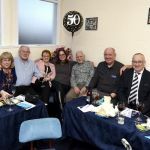 Heather was celebrating her 50th Birthday in the sponsors lounge. 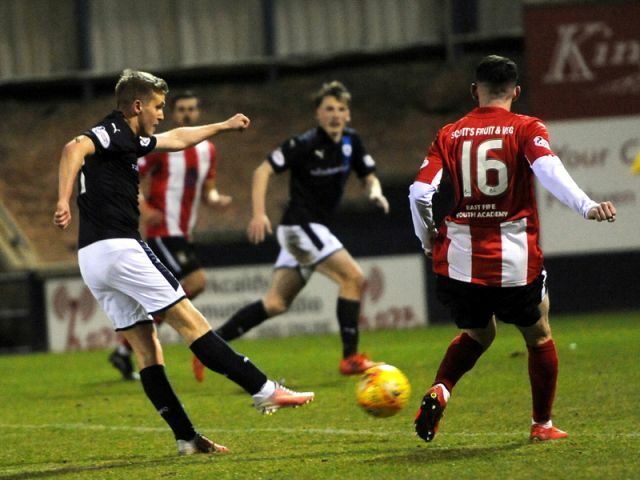 After hanging onto the coat-tails of Ayr United at the weekend, Raith Rovers get the chance to move to within three points of The Honest Men this Tuesday, when East Fife visit Stark’s Park in the final Fife derby of the season. 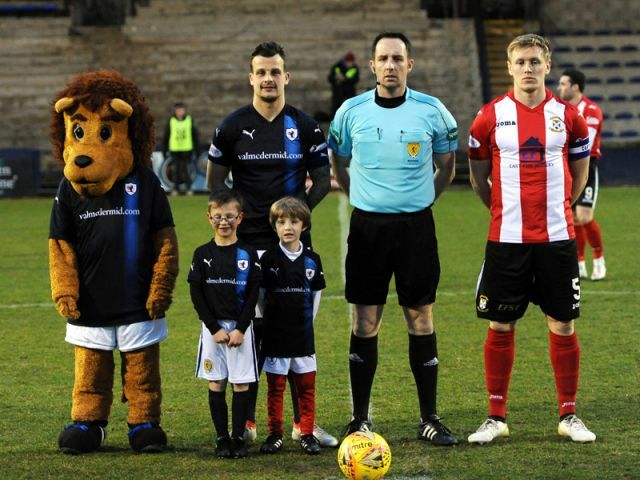 The match was initially scheduled for Sunday the 18th March but was cancelled because of a frozen pitch. 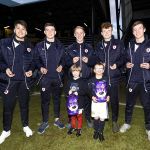 Rovers go into the game on the back of an impressive win at Airdrieonians on Saturday, who up until the weekend had only lost one league game at The Excelsior Stadium all season, coincidentally enough, against Tuesday night’s opponents. 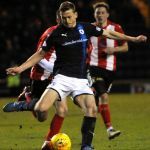 After three successive wins had taken them to fifth in the table, Darren Young’s side had recently rekindled hopes of a tilt at the playoffs, but an uninspiring loss to Forfar Athletic on Saturday now sees them sixth, and ten points from the top-four. 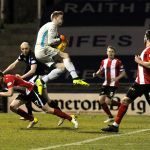 However, the Methil side are currently 12 points clear of ninth, so barring a an improbable sequence of results, East Fife will be playing third tier football for the third straight term next season. 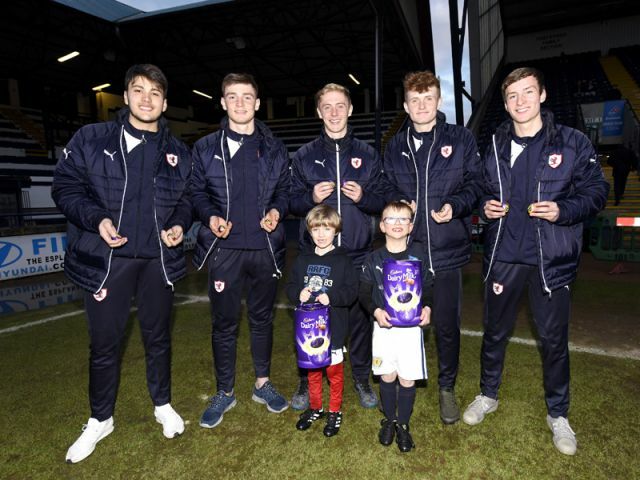 They’ll need to reverse a fairly deep set trend if they’re to take anything from Tuesday though, with Raith boasting a 100% record against East Fife this season. 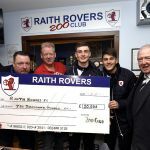 The first meeting in August was the most convincing, with Rovers romping to their biggest ever away win in Methil, with goals from Bobby Barr, Liam Buchanan, Greig Spence and a Lewis Vaughan brace sealing a 5-0 win which could easily have been more. 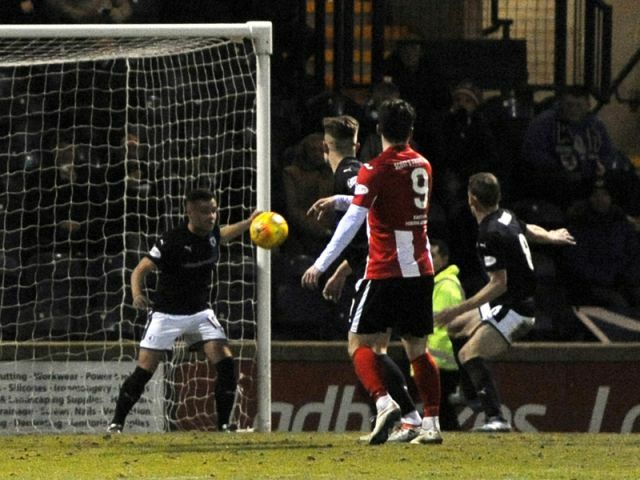 It was a far closer affair in November though, when a Lewis Vaughan goal was enough to secure the win, in a match where East Fife gave as good as they got. 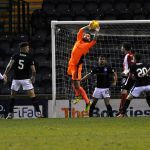 The last meeting in January featured another glut of goals however, although this time they were far more evenly spread. 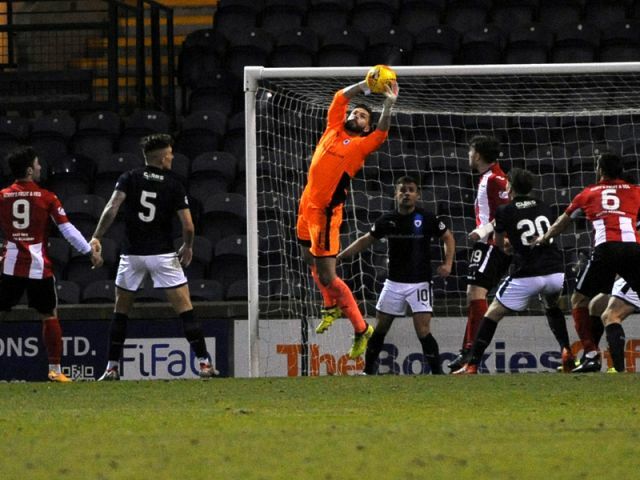 Scott Robertson gave Rovers an early lead, but Kyle Wilkie restored parity, albeit Rovers lead again before half-time thanks to a goal from Buchanan. Scott Linton equalised with a great free-kick, but with time running down, Dario Zanatta ensured the win once again with a fine solo effort. 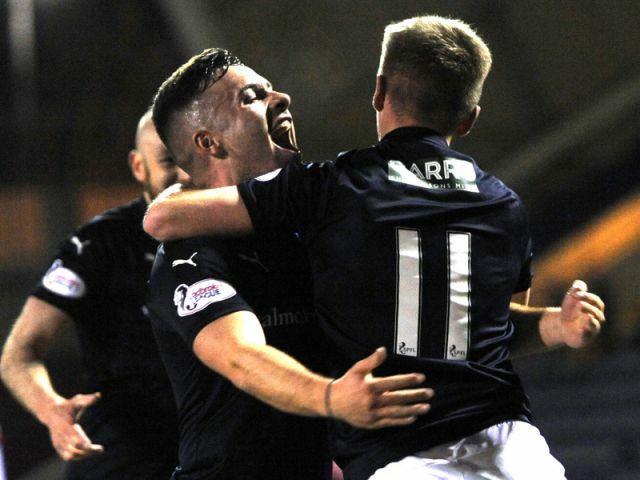 Raith Rovers are unbeaten in their last 11 outings against East Fife, winning 10 of those meetings, stretching back to 2000. Rovers last defeat in this fixture was back in 1988. Tuesday night’s match referee will be Barry Cook.